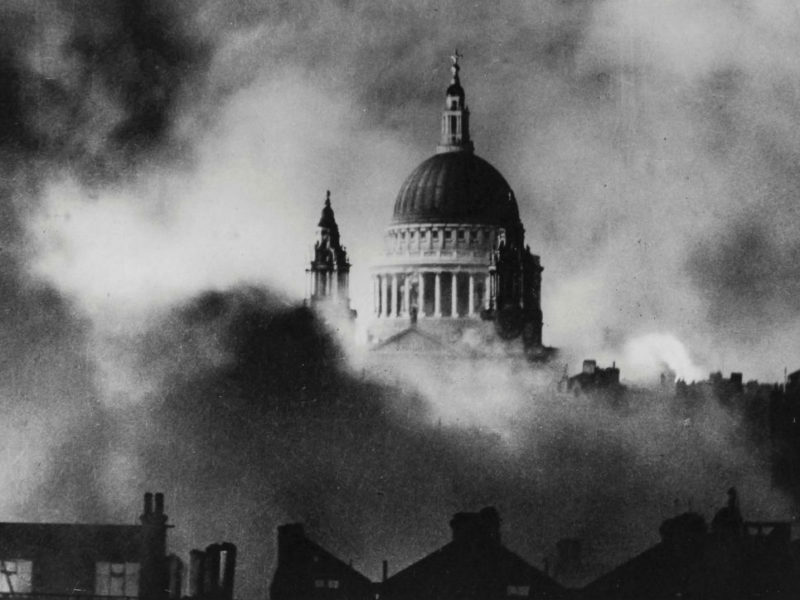 Dawn, September 1939. German forces invaded Poland and hostilities began. ‘The Prime Minister asked me to visit him at Downing Street.’ Winston Churchill wrote in his memoirs. 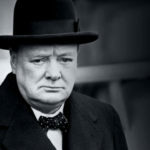 ‘I was invited to become a member of the War Cabinet.’ Two days later, 24 years after resigning as First Sea Lord, Winston Churchill returned to the Admiralty. 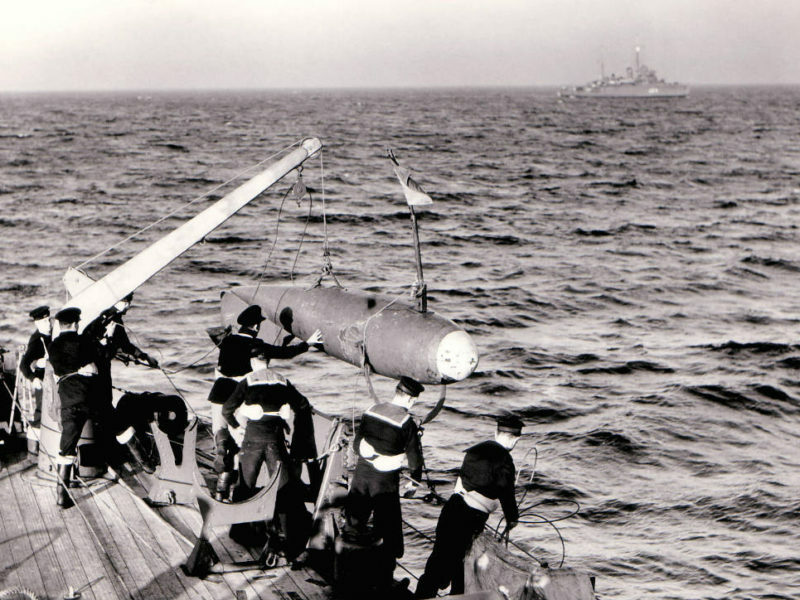 His first challenge was to rebuild Britain’s naval strength in ships and manpower. 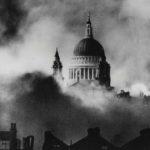 The Admiralty began a requisition and building programme to deliver 141 warships from Aircraft Carriers to minesweepers. 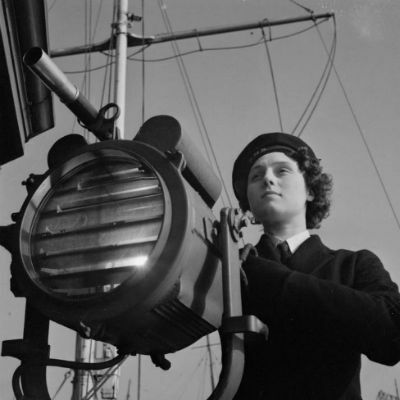 To support these ships, the Royal Navy made its demand for manpower, 145,000 men, and 13,000 women by the end of 1941. An average intake of 10,000 personnel each month. 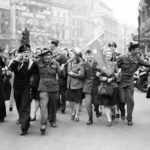 With war now imminent, the Government introduced the National Service Bill, which received Royal assent on 3rd September, five hours after the Prime Minister’s declaration of war. 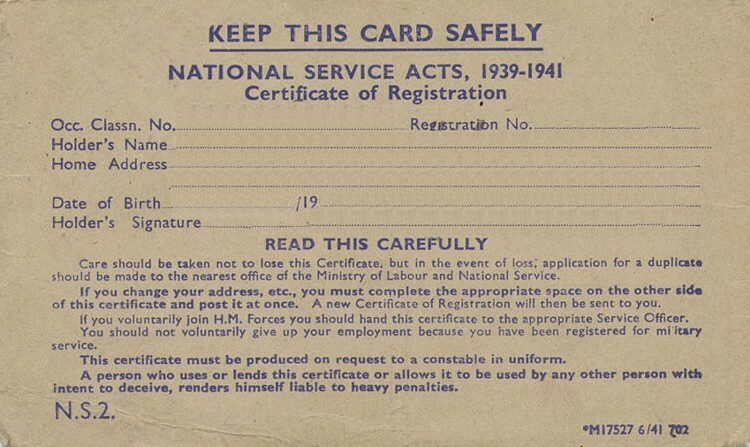 The Act superseded the 1939 Military Training Act. 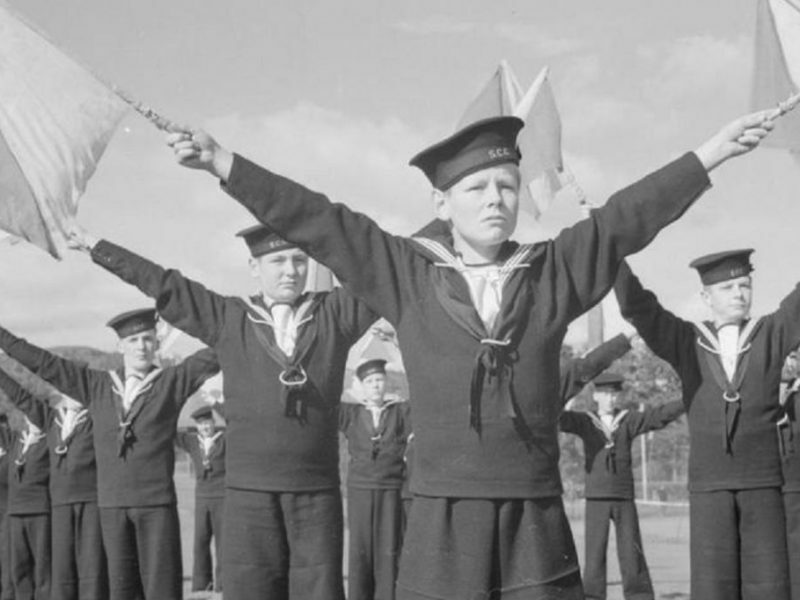 Now male subjects, between the ages of 18 and 41 years, were liable to be called up for armed service. The information held on the N.S.2. was then sent to an Allocation Local Office for processing. 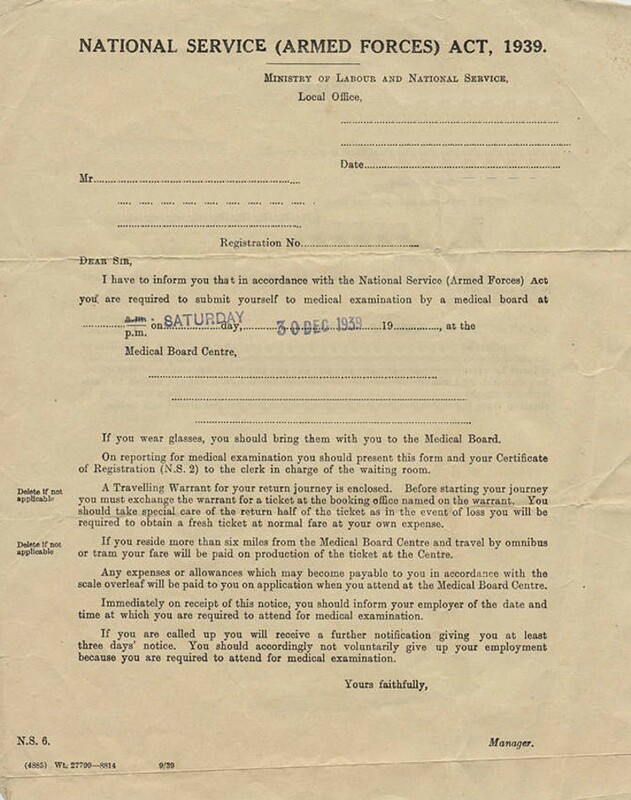 Men meeting the age criteria laid out in the Schedule of Reserved Occupations (HMSO 1939) (PDF) and those whose employer had gained approval for their postponement of service were “reserved in their present occupation” and remained in civilian life. 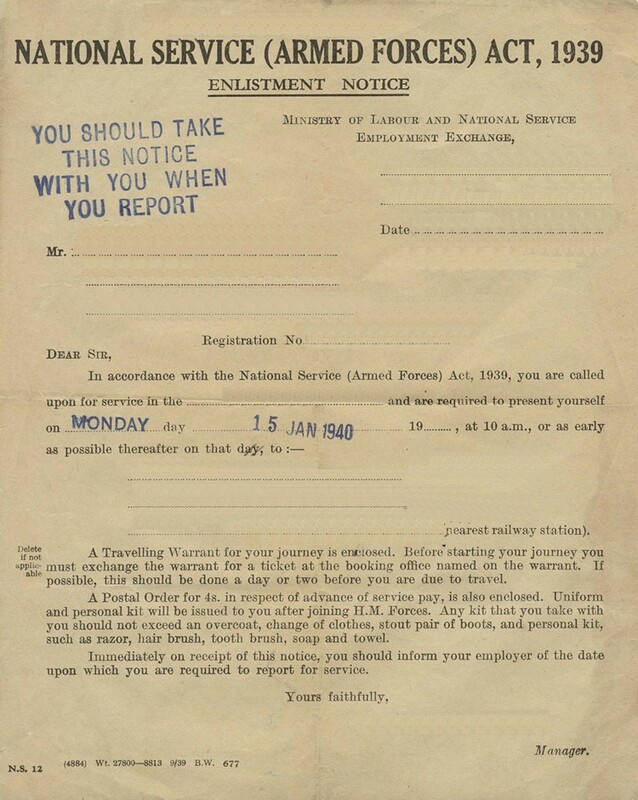 Enlistment Notices (N.S. 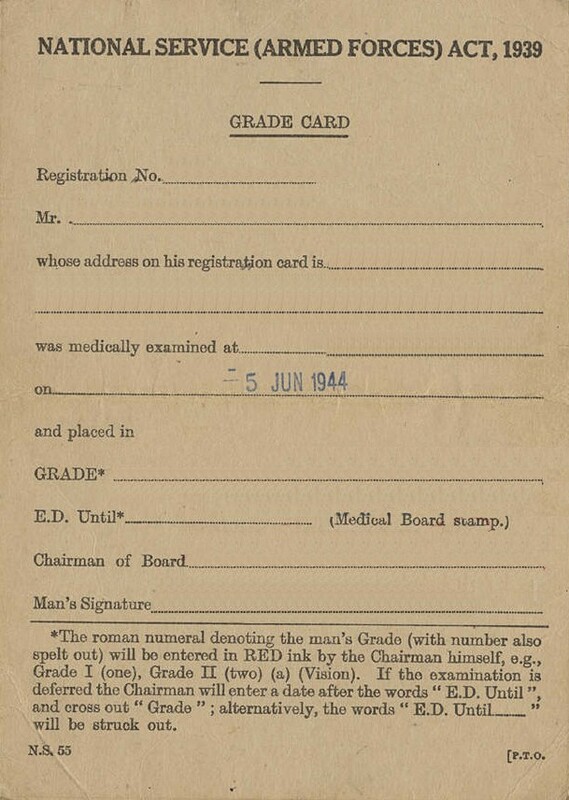 12) were issued to Grades I-III notifying when and where to present themselves for service. 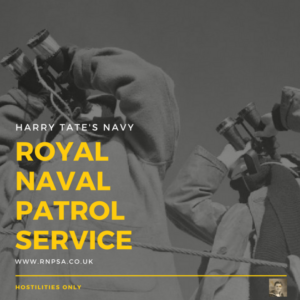 By 1941, nearly 400,000 men applied to join the Royal Navy. Of these, 40,812 were Hostilities Only. 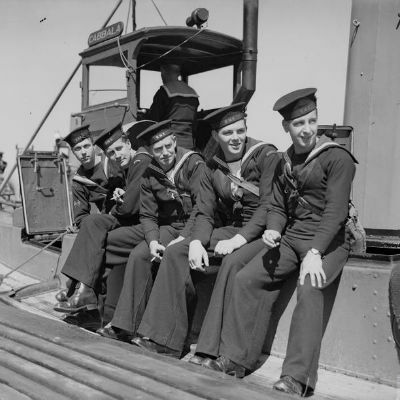 The term was first used in The Great War to describe merchant seamen, already experienced in nautical matters, who joined the Royal or Merchant Navy. Hostilities Only volunteers of 1939 were different. 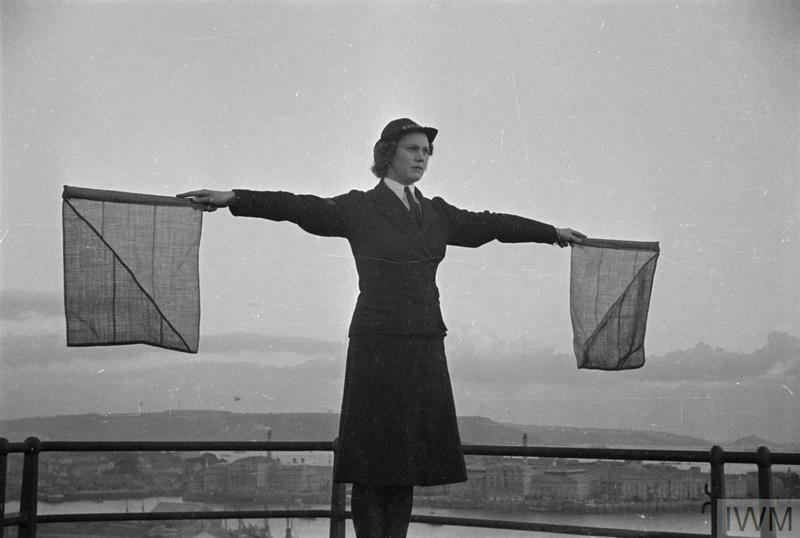 These were inexperienced men and women from all professions who needed to be trained in the basics of seamanship before moving into one of the specialist branches. One of those 40,000 ratings was Robert Brooks, an eighteen-year-old pulp boy who worked for an art screen manufacturers in Preston. Eighteen was the minimum age to be accepted as an Hostilities Only rating. 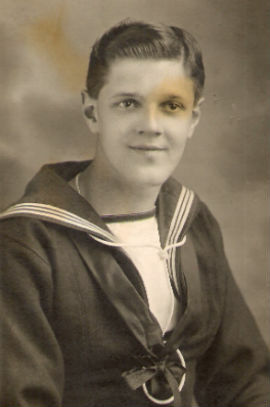 One morning in May 1941, a Preston postman delivered a brown envelope marked ON HIS MAJESTY’S SERVICE. 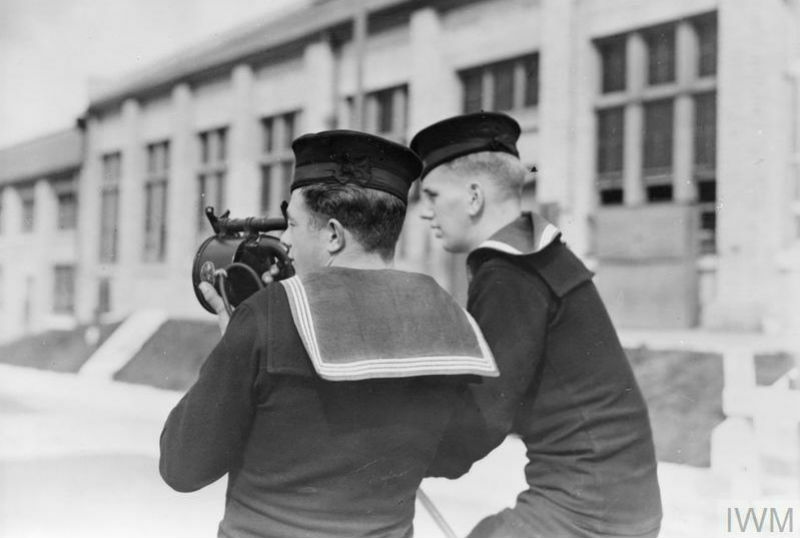 A week later, clutching a one-way rail warrant, 18-year-old Robert Brooks made the long journey from Preston in Lancashire to Fareham in Hampshire to begin basic seamanship training at HMS Collingwood.